The new TK Maxx head office at Juction 33 of the M62, Knottingley, is part of a multi-million pound development that will provide the American clothing retailer (TJX) with a new 1.3m sq ft HQ that plans to offer 2,000 new jobs to the local community. BioClad’s PVC wall cladding is being installed within the catering areas to transform the hygienic spaces for TX Maxx head office staff. 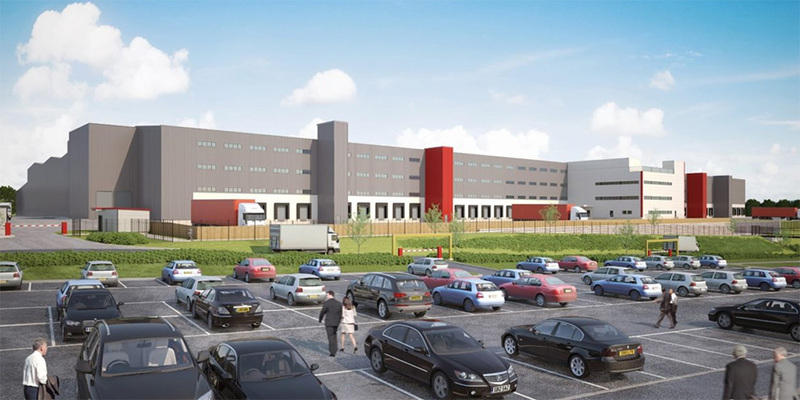 The new Cross Point development by Caddick Construction will provide TK Maxx with a single storey warehouse and processing unit plus three storey office accommodation. The food-safe PVC wall cladding sheets will be fitted to staff catering facilities. BioClad PVC sheets are a modern alternative to tiling and offer superior hygiene to kitchens, bathrooms, communal areas and much more.